The term “high cholesterol” is tossed around so frequently that many people fail to realize it is a serious condition that requires timely treatment and intervention. Even fewer people realize that many cases of high cholesterol can be resolved without any medication. In fact, the majority of Americans struggle with high cholesterol due to their lifestyle choices, not genetics. If you have high cholesterol yourself, these strategies can help you improve your health naturally. 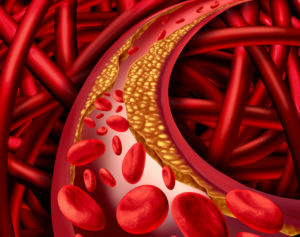 Cholesterol is a thick, waxy substance that occurs naturally in the fats in your blood. Though some cholesterol is actually essential to your body’s ability to build healthy cells, other “bad” cholesterol has a tendency of accumulating in your blood vessels. When enough cholesterol clogs these main pipes of your body, blood can’t flow efficiently through your arteries, and your heart becomes deprived of oxygen-rich blood. A heart without blood can’t function properly, leading to heart attack and other heart conditions. This is basic advice, but it’s the most powerful. Changing your diet to include more fruits, vegetables, whole grains, beans, and nuts can significantly lower your cholesterol. As a matter of fact, healthy breakfast choices like oatmeal and oat bran are high in soluble fiber, which minimizes the digestion of cholesterol within the body, so your smart food choices will have an even stronger impact on your health. Believe it or not, it is possible to suffer from a vitamin D deficiency in sunny Florida! In addition to hurting your energy levels and causing chronic pain in the body, a lack of vitamin D is also linked to high cholesterol. It’s easy enough to take a vitamin D supplement to solve this problem and support your body to reduce cholesterol levels. There are many natural supplements known to support the body’s cholesterol reduction. Talk to your cardiologist about red yeast rice, a traditional Chinese medicine that is chemically identical to the active ingredient in statins. If you don’t have any conflicting conditions, taking a red yeast rice supplement each day could help to lower your cholesterol naturally. Why allow high cholesterol to dictate your health? It is entirely possible for you to take control of your cholesterol and embrace a healthier, more active life. Cardiovascular Solutions Institute in Bradenton and Sarasota, Florida is here to give you the comprehensive cardiovascular care you need to live a long and healthy life. Call (941) 747-8789 today to schedule your appointment.